I got two TTMs in over the last week to close out my TTMs for 2017. 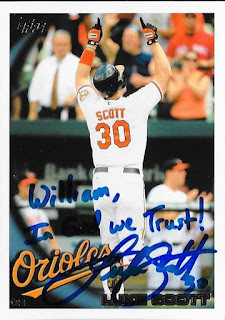 This one was a nice 2010 Topps signed by former Oriole, Luke Scott. I sent him 4 cards, but only had one returned. This one, though, might have been the best of the bunch. I really like his pose in the card. Scott (b. 1978) played in the majors from 2005 to 2013 for the Astros, Orioles and Rays. He had 725 hits, 135 home runs and a .258 batting average. I remember him as a beast when he played for the Orioles, but never could quite put it all together. 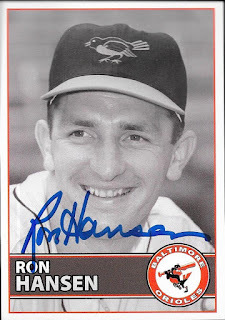 Still, he had a pretty good career, and is remembered fondly even though he was on some bad Orioles teams. 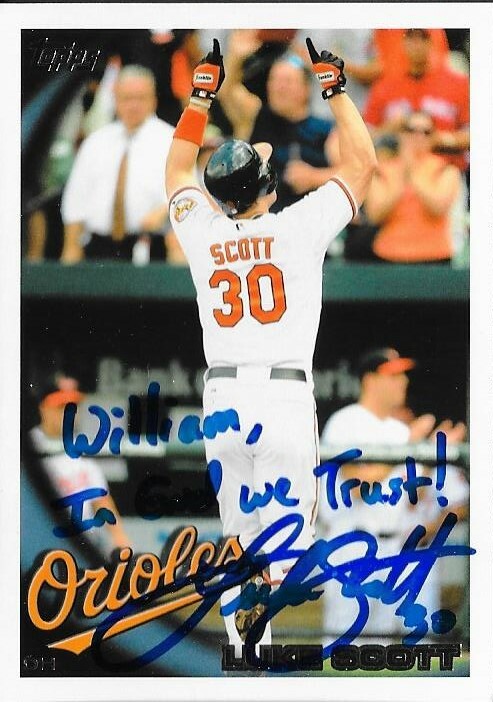 I mailed to Scott on October 17 and got the card back on December 22, for a 66-day TAT. I was completely surprised at the huge box of stuff that came in recently from my good friend, Dalton. He and I have been friends on Instagram and Snapchat for a long time. He always comes to me for advice, and I try to help him out as best I can. He had been hinting that he was going to do something big for Christmas, but I wasn't sure what it would be. I never expect anything in return for helping him out, so when this big box came in, I was floored. The box wasn't all filler, either. He filled it up with some amazing stuff. Some of the box was stuff I bought off of Dalton to help him finance some of his family's Christmas gifts, and the rest were surprises that he threw in. 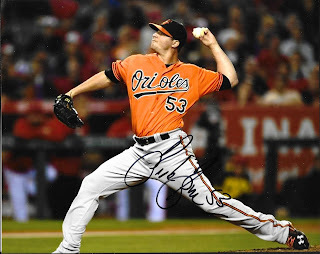 The above Zach Britton signed photo was one of the surprises. 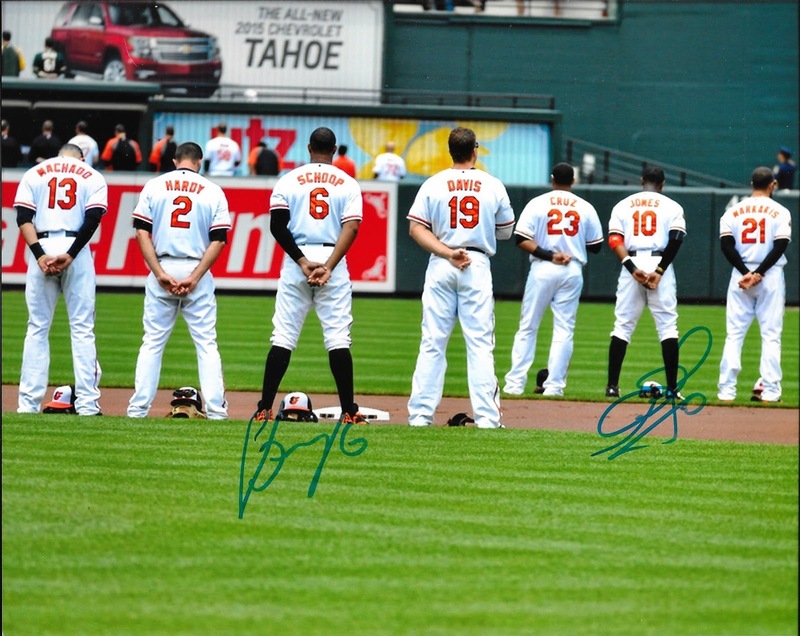 Dalton offered to sell me this signed Orioles photo a few times, but I didn't really have the money at the time. I was really surprised that he ended up just including it in the package. I asked him about giving so much, and he responded with "I wanted to make your Christmas amazing." Well, he sure did that. I was able to guess this signature right away, Trey Mancini. I'll probably keep it in the top loader that Dalton provided, since my album pages aren't big enough. Dalton knows how much I enjoy adding new cards to my auto binder, so he included three signed cards that he had. I had gotten Carlos Baerga TTM (and I assume that's where Dalton got this one), but I hadn't gotten this particular card signed, so it was nice to get. I assume he got the above Tim Laudner signed in person at a Twins Alumni event or something, seeing as the Twins are his hometown team. 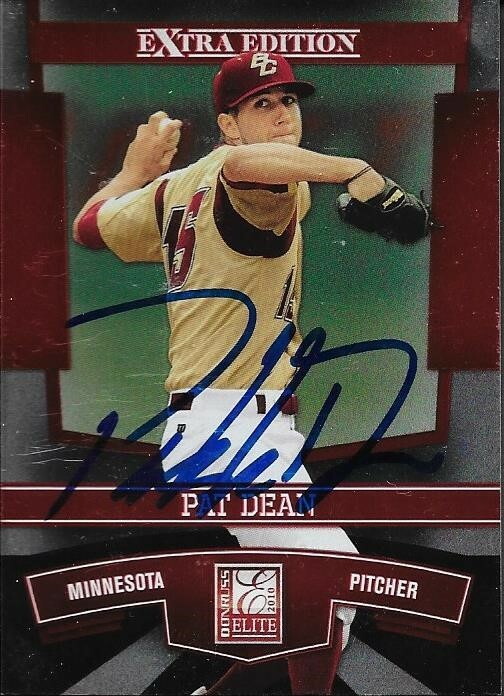 I actually saw a bunch of Pat Dean cards the other day as I was cleaning up my minors box. I wondered if I could get any signed, and I saw that Dalton included this. 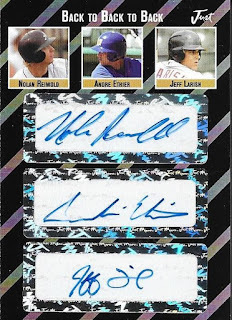 I like these Elite Extra Edition cards; they look really nice when signed. Finally, the stuff that really blew me away was all of this that Dalton included. The bottom two balls (Manny Machado and Mark Trumbo) were what I bought off of Dalton to help him out. The rest were ones he threw in. 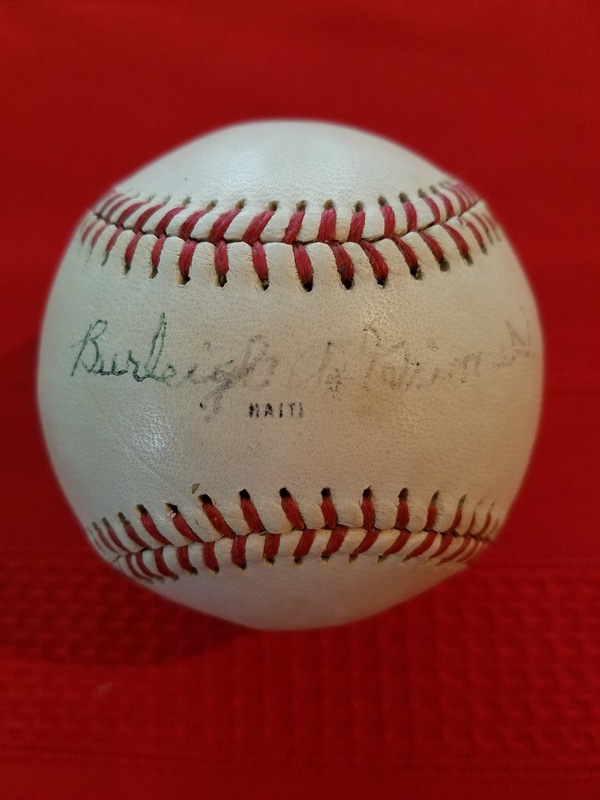 Included was a multi-signed ball that included Greg Maddux, Ron Kittle, two game used balls and another that he had gotten signed, but I forget by whom, haha. Dalton is a really good kid. I sincerely enjoy helping him out. I never did it with any thoughts of receiving anything in return. He always has time to chat, even though he is always busy. I think the world of him, and really am blown away at his kindness and generosity. Thank you so much, Dalton. Christmas GIft From Nick S.
My buddy, Nick, sent me a nice little package for Christmas that had a few autos and a nice rookie card included. 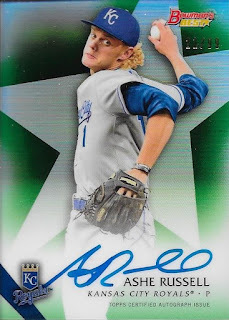 This Ashe Russell Bowmans Best is a really pretty card. It is numbered 21/99. 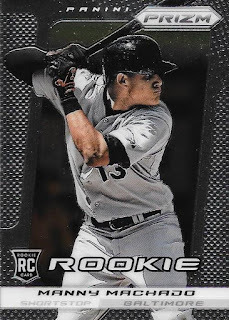 I don't know much about Russell, but the card is nice, and I plan to hold onto it. Nick included this Panini Prizm Manny Machado RC with the package. 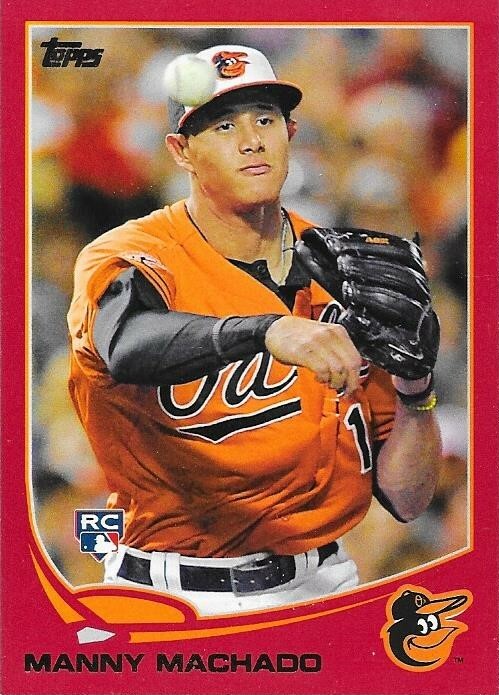 Manny probably won't be an Oriole for much longer, but this card will stay in the collection. 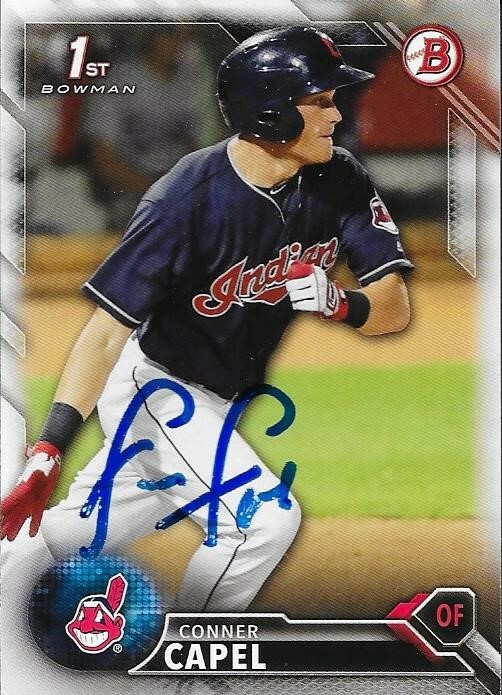 Finally, Nick included this 2016 Bowman Conner Capel IP auto. This will be put into my album with all of my other IP and TTM autos. Thank you so much for the Christmas gift, Nick, I really appreciate it!! 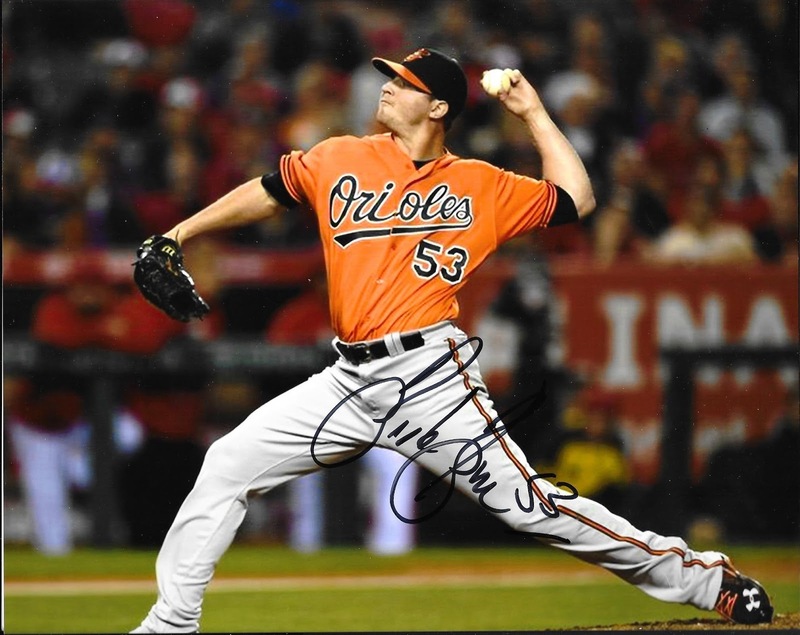 Labels: Ashe Russell, christmas, Conner Capel, Manny Machado, Nick S.
I've only been talking to my buddy, Cal, for a couple months, but he was nice enough to surprise me with a Christmas gift recently. I sent him a little something, as well. I didn't expect anything in return, of course. 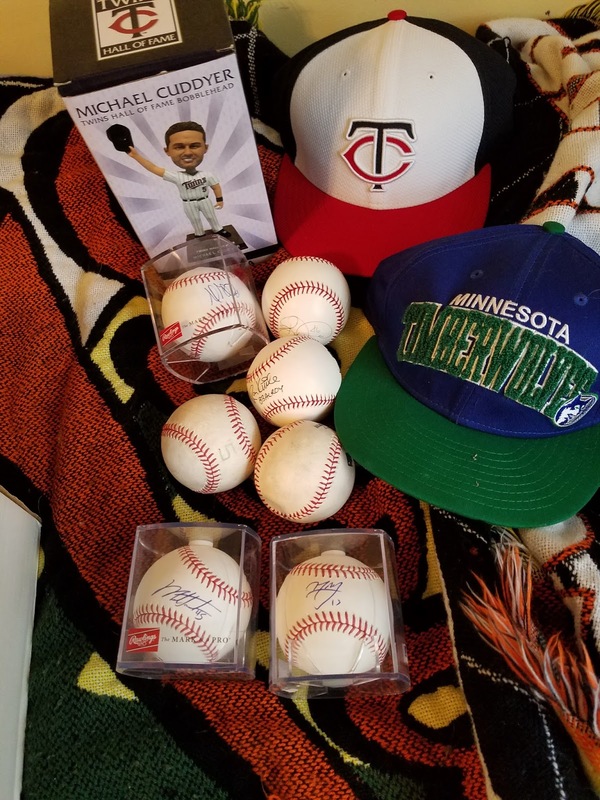 I've been helping him out a bunch with TTM ideas and general baseball information, and he seems to have really enjoyed it. I love answering his questions, and I hope that I have provided him with some help with his collection. 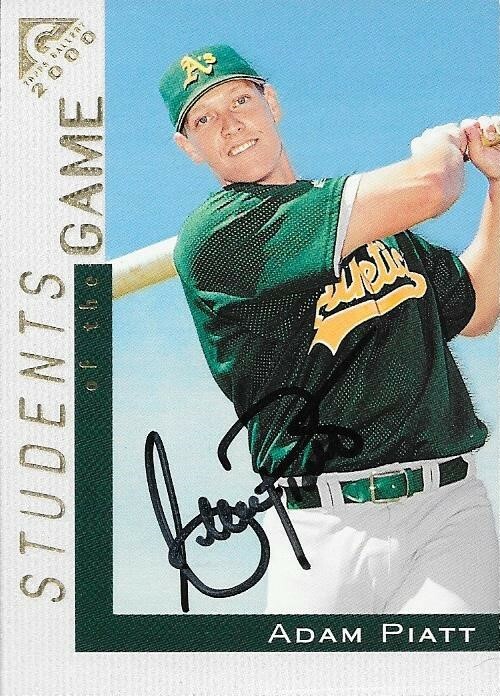 I have seen a bunch of these Just Minors Nolan Reimold autos on my Ebay feed, but never got around to picking one up. Cal got this one for me, and it is numbered 2/3. 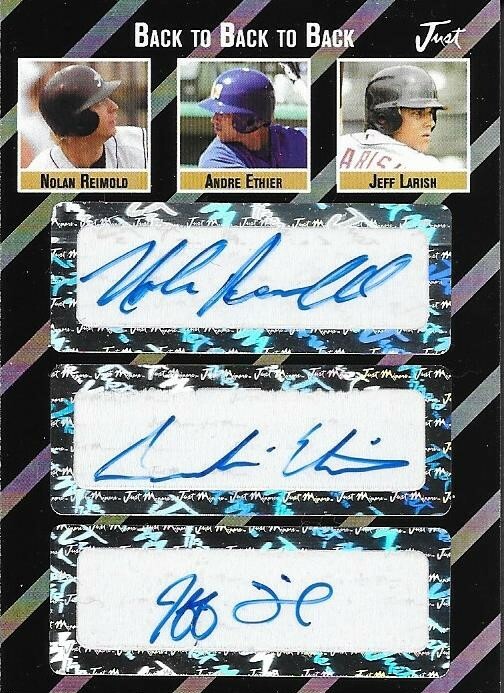 It also has autos of Andre Ethier and Jeff Larish (where has he been?). Cal also included this Chris Davis relic from 2015 Topps Heritage High Number. 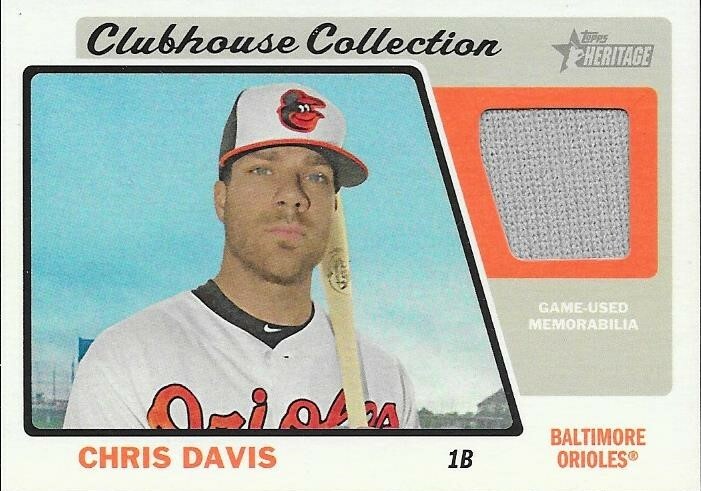 I always love Chris Davis cards, and was happy that Cal included this in the package. Thank you so much for the Christmas gift, Cal! 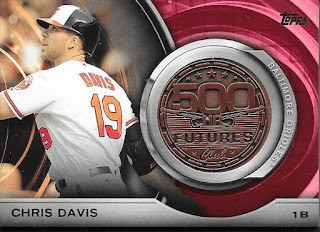 I have already put Nolan in a mag, and Davis will go into my PC. I got a Christmas gift in yesterday from my good friend, Gerard. Normally, I would have waited a bit to blog it, since I have other Christmas stuff that I got before it, but I wanted to go ahead and get this Davis in a magnetic case, since I bought one too many the other day. It worked out. 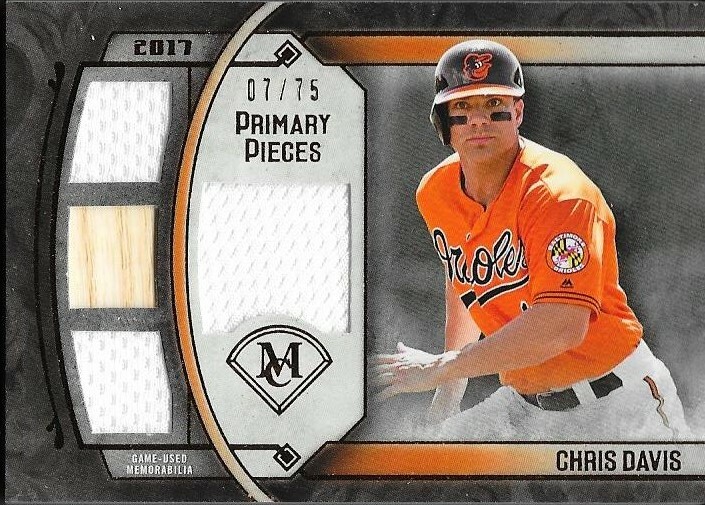 I really liked this 2017 Topps Museum Collection Chris Davis that Gerard sent. He surprised me with it, as it was buried in the bottom of a box of random cards (and a parking pass, lol). He sent back a good bit of the TTM starter pack that I had sent him, since he already had gotten most of those guys. Like a stand-up guy, Gerard sent them back so I could send them to someone who could use them. He's a great guy, like that. Thank you so much for the Christmas gift, Gerard. I really love the card! I just met Dayton over at Daytons Cards on Instagram a few months ago. I found him some coaches for the minor league teams that he sees, and figured that would be all we interacted until the start of the season. Dayton surprised me, though, with a Christmas care package that had a few autos in it, and the above 2013 Topps gold parallel of Wei-Yin Chen. 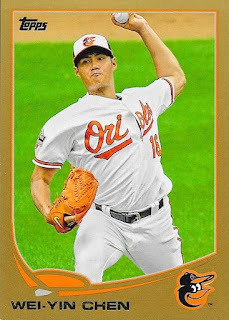 It has been a while since a Chen card appeared on the blog. I liked the autos that Dayton sent along. 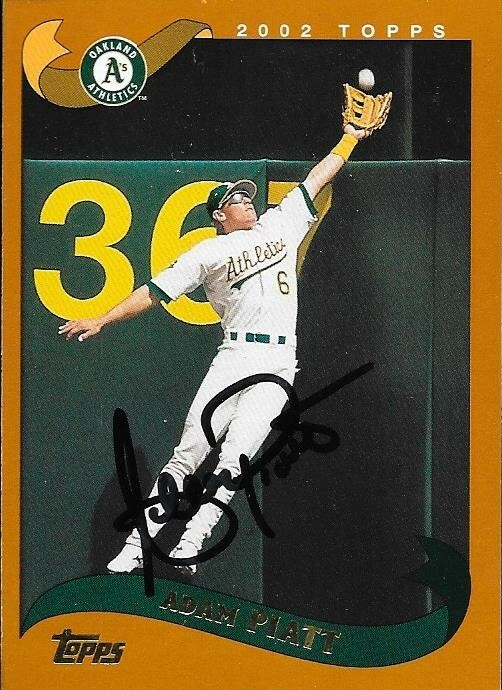 Even though I already had Rich Bordi in my album, I will put this one in there as well, since he gifted it to me. I thought I already had the 2013 Miguel Gonzalez, but I guess I didn't, which was a nice surprise. 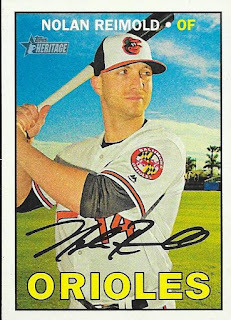 I also did a double take, because I thought the 2011 was Miguel, as well, but it was horrible Orioles relieved, Mike Gonzalez. I shudder at the memories of him closing games. Still, I needed the card, and I am happy to have it, no matter how bad Mike Gonzalez was. Thank you so much for the care package, Dayton! I got a nice Christmas gift from my good friend, Max, that I was able to hold onto and not open until I opened all of my Christmas gifts. 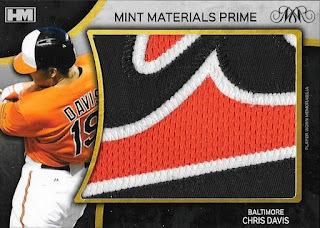 Inside was this really nice patch of Chris Davis from Hits Memorabilia. This is my second card from them, the previous one was from last Christmas from my good friend, Anthony. 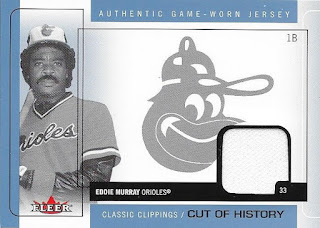 Even though Hits Memorabilia isn't licensed, they still put out a really nice product. I thought the card was thicker, so I bought the wrong magnetic case for it. I need to go back to the card shop and buy a thinner one. Thank you so much for the Christmas gift, Max! I really like the card. Chris also loved his Tim Lincecum ball. One of the first Christmas gifts that came in this year was from my friend, Noah. 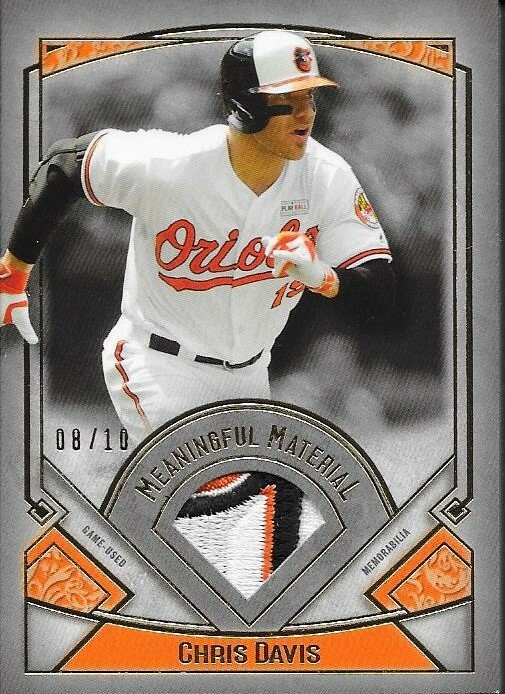 This 2017 Topps Museum Collection patch is numbered 8/10 and looks really cool. 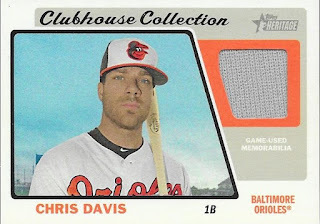 I love Museum Collection, and adding a new Davis to the PC is always a plus. Noah really knows what I like. I actually got him a sweet Victor Martinez from the same series. I hope he liked his as well. Thank you so much for the Christmas gift, Noah! This is the last thing I had scanned before I start on my Christmas gifts that I got recently. This was a trade I did a while ago with a kid named Colin from Instagram. I sent him a bunch of cards for his PC in exchange for this Manny Machado Target Red RC. I had one in my collection that I had sold, and I held onto this one. I can't remember who Colin PCed but I know I have more cards set aside for him in a pile somewhere on my desk. Once I find them, my memory will have been jogged. Thanks for the deal, Colin! Before I get into my Christmas gifts from friends, I wanted to knock out a couple more trades that have piled up to be blogged. 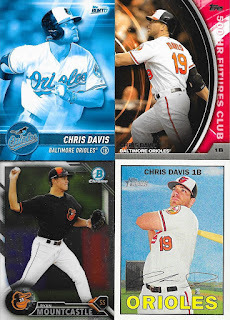 I got an assortment of Chris Davis cards in exchange for something that I have already forgotten to my friend, Blaine. The main component of the deal was this Chris Davis 500 Futures coin card. I needed it for the collection, and am glad to have it. Blaine also tossed in these for the collection. 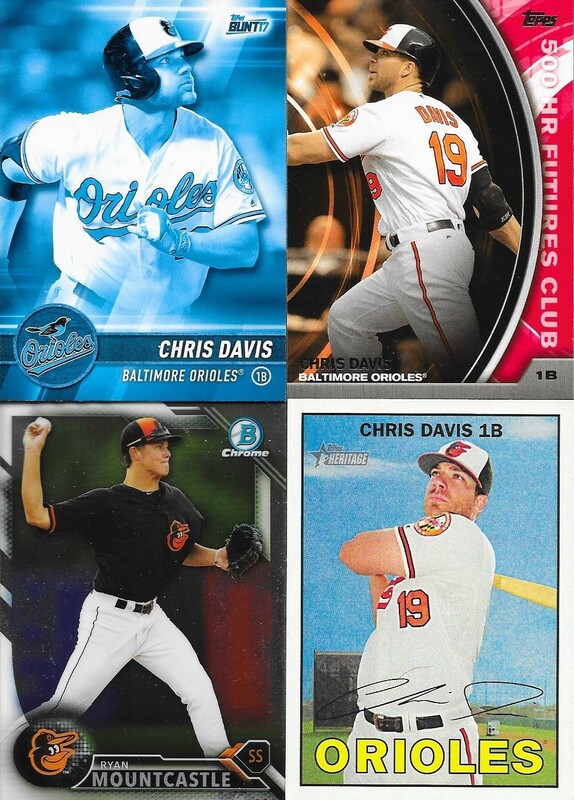 I hope to see Davis at Fan Fest, and will have a hard time picking out which cards to get signed. I'll have to think really hard about what I have in my collection, and then I'll also have to get a voucher or two. Thanks for the deal, Blaine! Merry Christmas to everyone who reads this blog. I wanted to kick off the Christmas gift posts with a huge present from my mom. Mom knocked it out of the park this year with a Hall of Fame signed baseball that I needed for my collection. 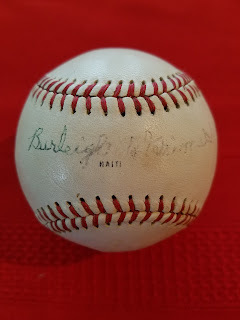 This is my 135th Hall of Famer on a baseball, Burleigh Grimes. I had looked up Grimes a few times, but he was well out of my price range. Mom really surprised me with this one. Grimes was way off of my radar at the time, but I am really happy to add it to my collection. Grimes (b. 1893 - d. 1985) played in the majors from 1916 to 1934 for the Pirates, Dodgers, Giants, Braves (Boston), Cardinals, Cubs and Yankees. He had a career record of 270-212 with 1,512 strike outs and an ERA of 3.53. He finished 3rd in the NL MVP Award voting in 1928 when he went 25-14 with a 2.99 ERA. He won the World Series with the Cardinals in 1931. Grimes was a 20-game winner 5 times (1920, 1921, 1923, 1924 and 1928). 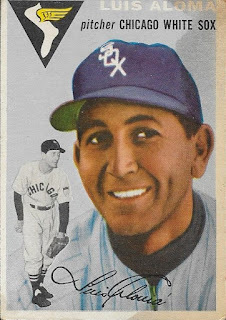 Grimes was elected to the Hall of Fame by the Veterans Committee in 1964. He becomes my 135th Hall of Famer, and I am really happy to be able to have this gift from my mom be the first blog post from this Christmas. Thank you so much for the ball, Mom! I love you. I made a deal with Tim on Instagram recently that landed me some cool Orioles cards, which included the above 2016 Topps Update Nolan Reimold negative parallel. I like these parallels, and was glad to add another to the collection. Nolan is working on a comeback, and I really hope I can run into him and get it signed. Tim also offered up this Eddie Murray relic, which I didn't have. All I had to give him was a few of the Topps 87 Chrome cards that I got out of my 2017 Topps silver packs. Thank you for the deal, Tim. I met a guy while graphing at Wood Ducks games this season named Dan. I helped him out early in the season, and we got to be graphing buddies. 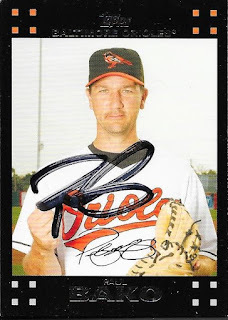 Not too long ago, Dan bought some ball cubes off of me, and also gave me a few Orioles post cards that he had gotten signed at a game this past season. 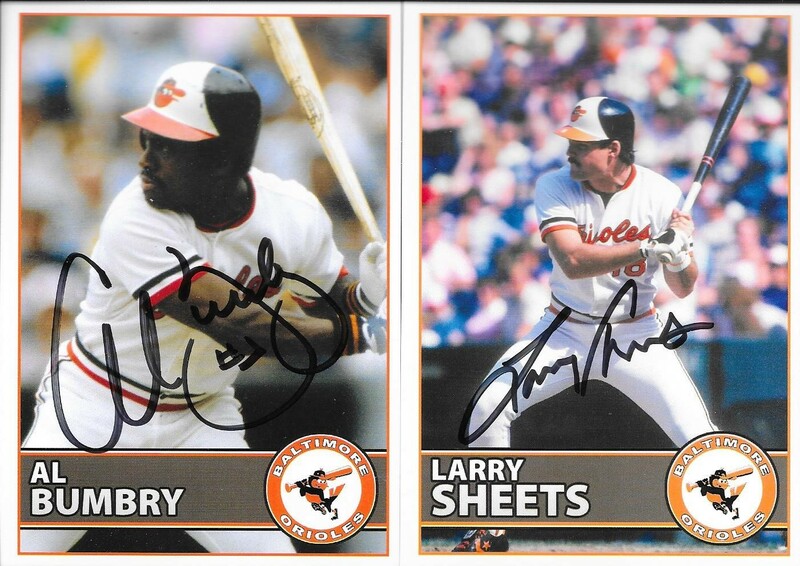 Dan had gone to an Orioles game and got these post cards at an alumni signing. I think they do this on Monday nights. I went to one where Al Bumbry was signing a few years ago. I wouldn't mind catching another and getting some cards signed. Thank you for the signed post cards, Dan! Here's a real quick look at a nice 1954 Topps that my good friend, Jackson, sent me recently. It occurred to me when he sent it that I really could complete the 1954 Topps set. I already have the Aaron, Banks and Kaline Rookies, along with the Jackie Robinson and Yogi Berra. So, I have a big chunk of the set, already. So, be on the lookout for more 1954 Topps on here in the future. I am not officially starting the set, but I think I can get it knocked out fairly quickly if I really got into it. 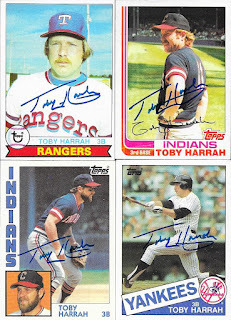 The last TTM waiting on my desk was from Toby Harrah. I am now caught up (for now, at least) on TTM posts. I was really happy to add a new 1987 Topps to the autograph album with this success. I had a ton of Harrah's cards to choose from, and I feel like I chose some really good ones. This 1981 Topps might be my favorite. I sent him 7 cards, but he kept one (a 1986 Topps Team Leaders card). All of the cards turned out really nice, and pushed up the numbers on some 1980s sets. Harrah (b. 1948) played in the majors from 1969 and 1971 to 1986 for the Senators, Rangers, Indians and Yankees. He had 1,954 hits, 195 home runs and a .264 batting average. 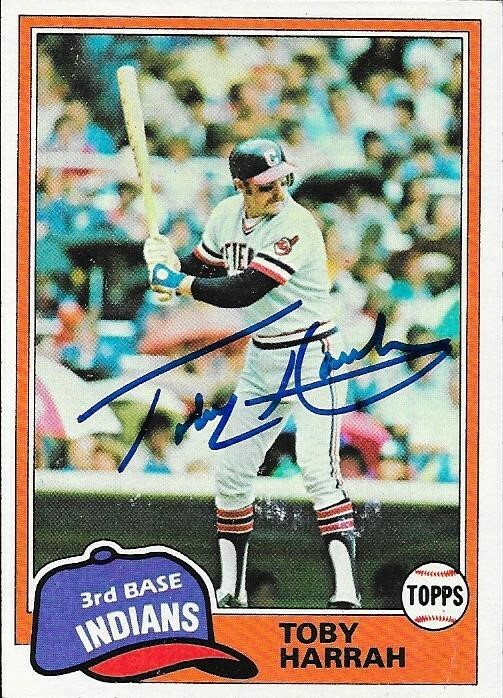 He was an All Star four times (1972, 1975, 1976 and 1982) and finished a best of 15th in the AL MVP voting (1975). 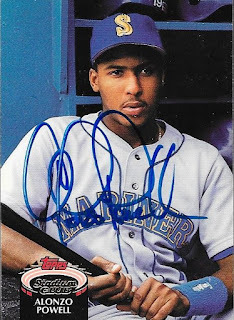 He appeared on the 1992 Hall of Fame ballot and received 0.2% of the vote. I mailed to Harrah on February 13 and got the cards back yesterday (12/19) for a 309-day TAT. 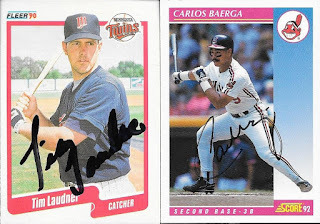 With the TTM that I got in today, I have two that need to be blogged. 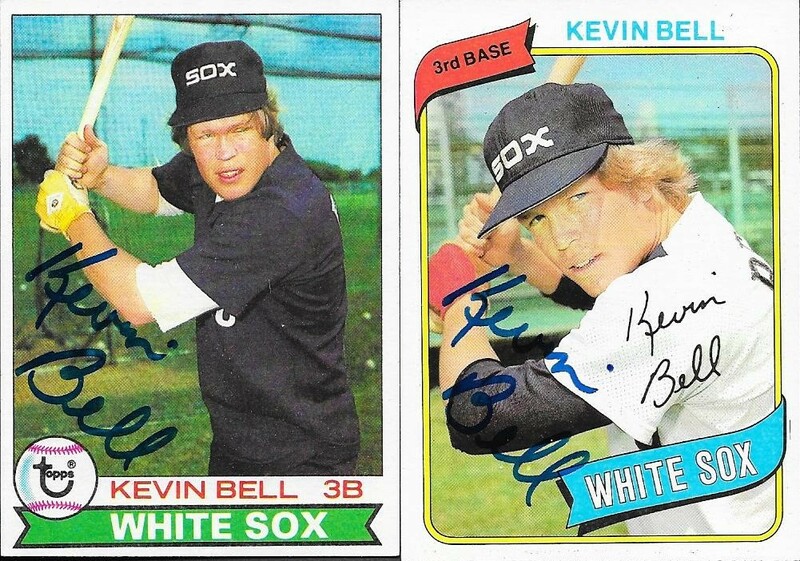 That, of course, includes this one from Kevin Bell. 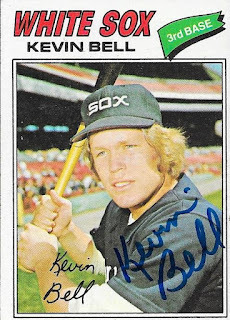 This one was pretty cool because of the hideous White Sox uniforms of the late 70s. 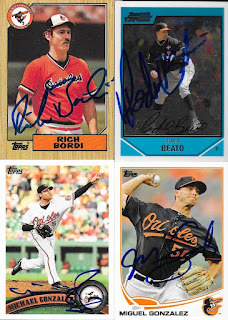 I was able to get some nice cards signed, like the 1977 at the top of the page, or the above 1978. 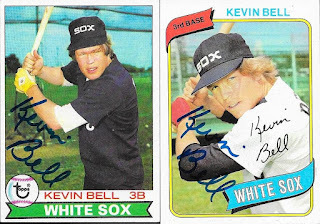 I also got these from 1979 and 1980, which turned out nicely. Bell (b. 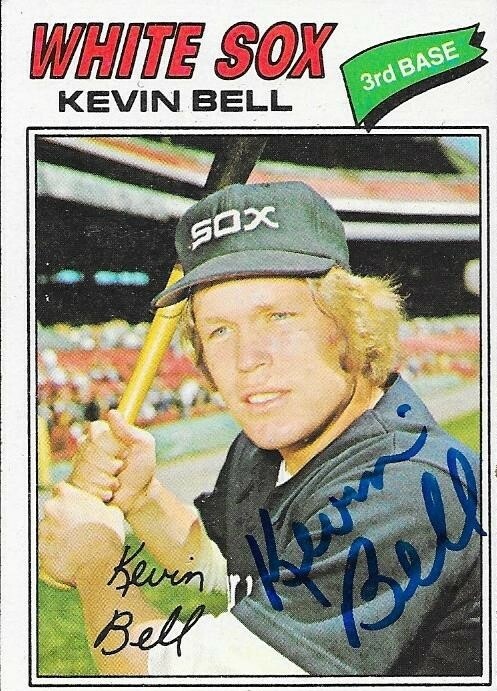 1955) played in the majors from 1976 to 1980 and 1982 for the White Sox and A's. 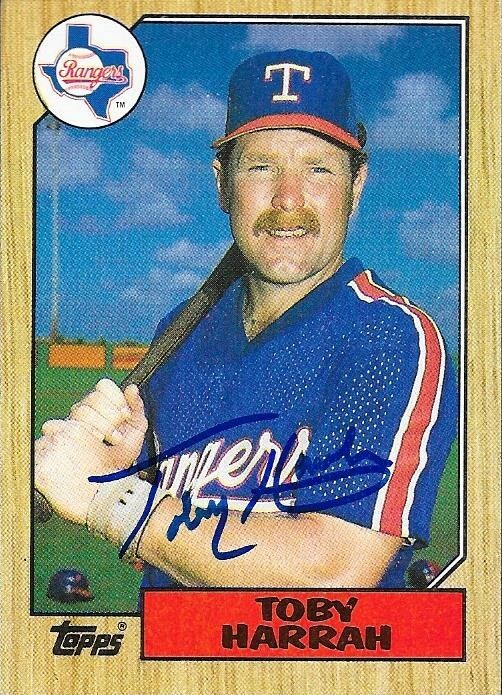 He had 161 hits, 13 home runs and a .222 batting average. 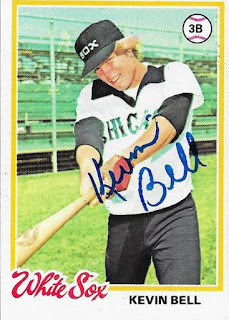 I mailed to Bell on October 25 and got the cards back on December 14, for a 50-day TAT. I made a quick and easy trade with my buddy, Carson recently, that landed me an auto that I can't show, because I gifted it to someone else. 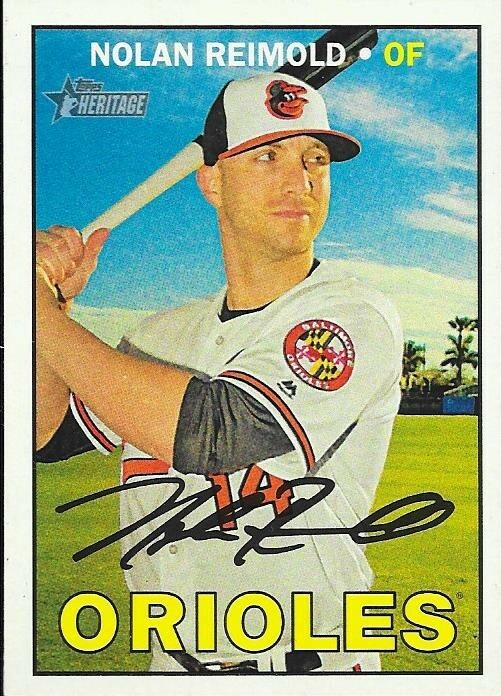 I liked the above Nolan Reimold, which I had already, but I didn't mind adding another. 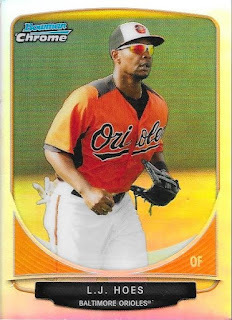 Carson also added this 2013 Bowman Chrome mini refractor of LJ Hoes. 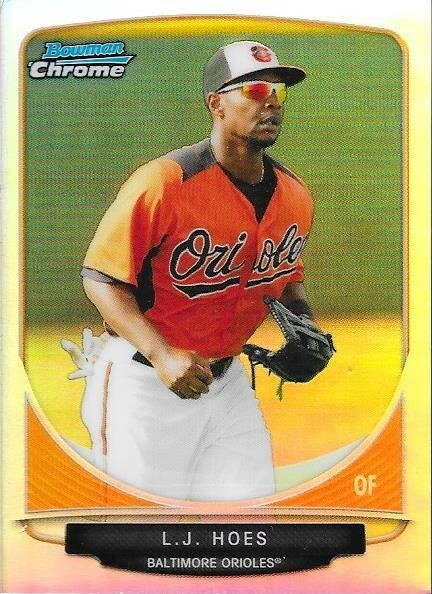 It is a nice little card that I may be able to get signed if he ends up back in the O's system. Thank you for the deal, Carson. All I had to send him was a vintage card that I picked up at the Greenville card show. I hope he enjoyed it! My friend Cal made a couple trades with me recently. He and I have been talking about TTMs and autos lately and made a few deals. He just busted a box of Topps Gallery and sent me these two that I needed for my PCs. I really like this product. I haven't seen any that I could open, so getting these from Cal was pretty nice. 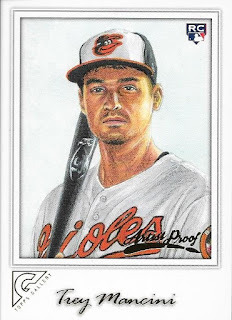 The above Trey Mancini is an Artist Proof, which is pretty cool. It's not numbered, but I like it. I may take it to Fan Fest in January to get it signed, but I do already have a few Mancinis that I had planned on taking with me, so we will see. 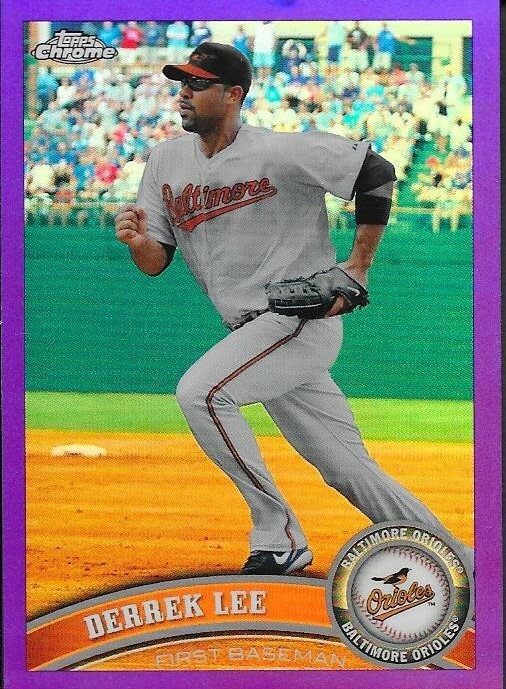 Finally, here is a purple chrome refractor of Derrek Lee. 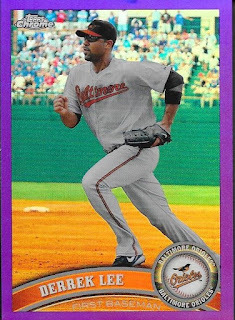 I always forget that Lee was an Oriole. I remember when he was traded to the Pirates. I think I saw his first game with the Pirates, but I could be wrong. Thank you so much for the deals, Cal. I hope we can do some more in the future. I got a surprise care package in the other day from my little buddy from Instagram, Micah. He sent the package as a birthday gift to my son, Chris, since they talk some on Instagram. Micah had included some stuff in the package for me, as well. The abve Alonzo Powell signed Stadium Club was one of the cards. 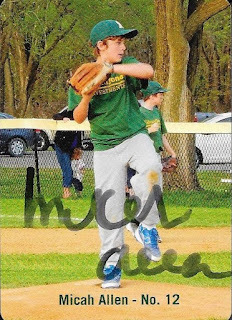 Micah also included one of his own cards, signed. I think this card of him is from several years ago, since he looks so young in the photo. I actually enjoy it when the folks I trade with include their own cards. One of them is bound to hit it big, right? Another of the cards he included in the package was this nice Bowman Sterling Dontrelle Willis relic. I met Willis a few years ago at the National Card Show. He was really nice in person, and I wouldn't mind meeting him again. Thank you so much for the care package, Micah! I have knocked my TTM pile down to almost nothing lately in an attempt to get caught up on my posts. 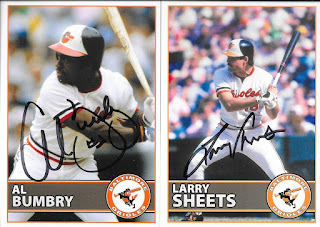 I have sent out fewer TTM requests lately and have concentrated on preparing for Orioles Fan Fest and Christmas. I haven't gotten nearly as many TTMs in lately, but this one from Adam Piatt was a nice one. 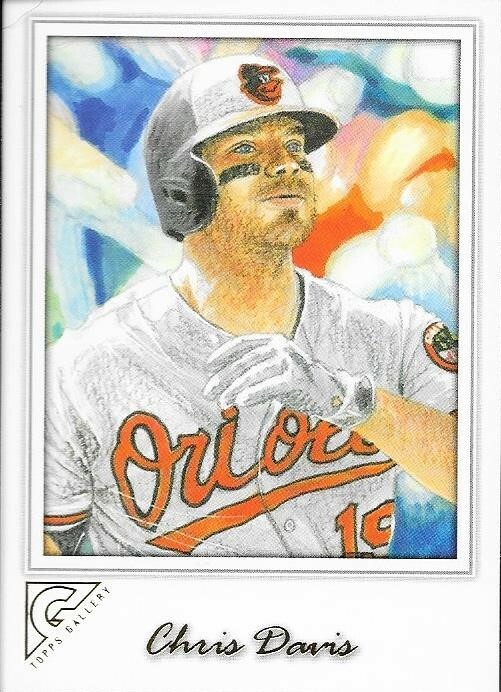 I really liked the above 2000 Topps Gallery. 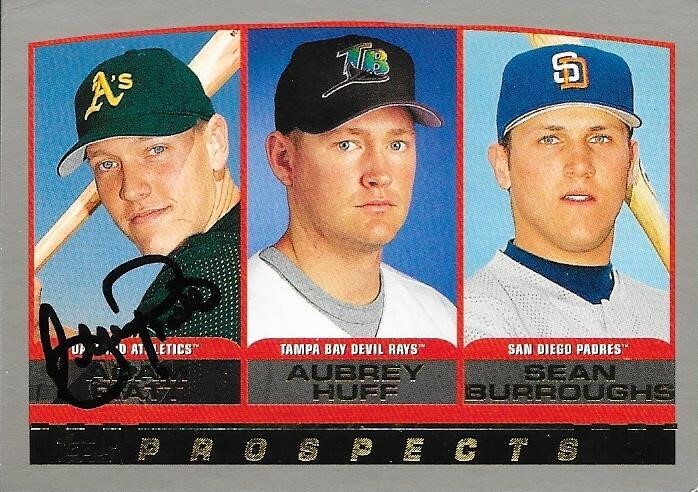 I can't remember the last time I added a 2000 Topps to my album, so this one was pretty nice. 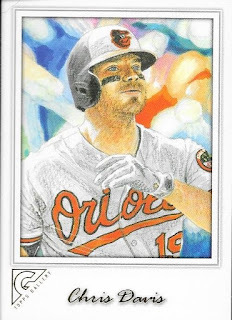 I think I happened upon it in my rookie card box right before I mailed to Piatt, so I figured I would add it to the request. The 2001 Topps and 2001 Topps Chrome both turned out really nice. The chrome is the card that made me look Piatt up. I think I found that in a card box at my LCS. Finally. 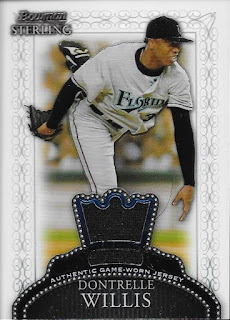 here is a pretty cool 2002 Topps. I like the leaping catch at the wall. Piatt (b. 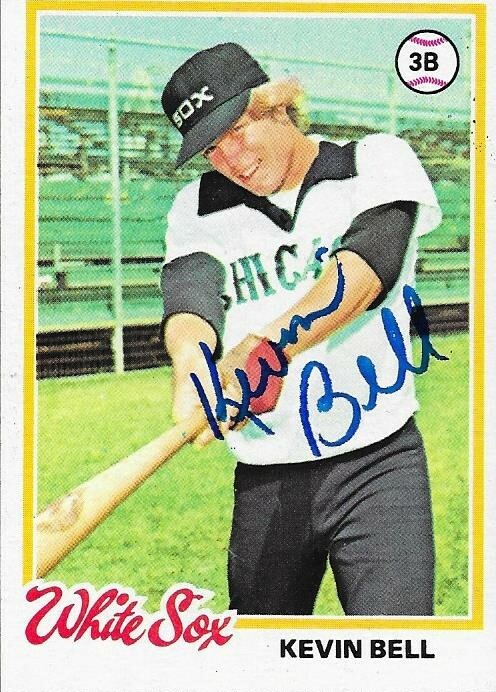 1976) played in the majors from 2000 to 2003 for the A's and Devil Rays. He had 129 hits, 16 home runs and a .248 batting average. 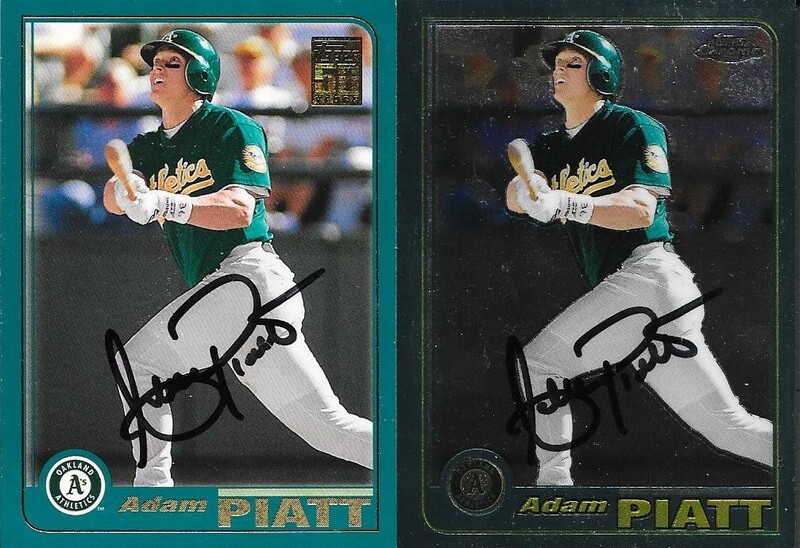 I mailed to Piatt on November 29 and got the cards back on December 11, for a 12-day TAT. I got another TTM success in that was sent out earlier in the year. I never write off TTM requests, no matter how far out they are, and I am glad this one came in. I had only one of these 1996 Fleer Update McDowells that had him in an Orioles uniform. 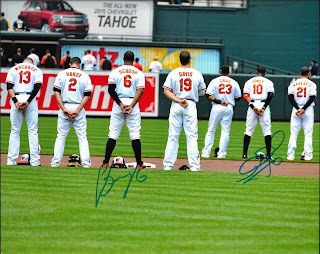 I had hoped to get it signed at Orioles Fan Fest, but I missed out. 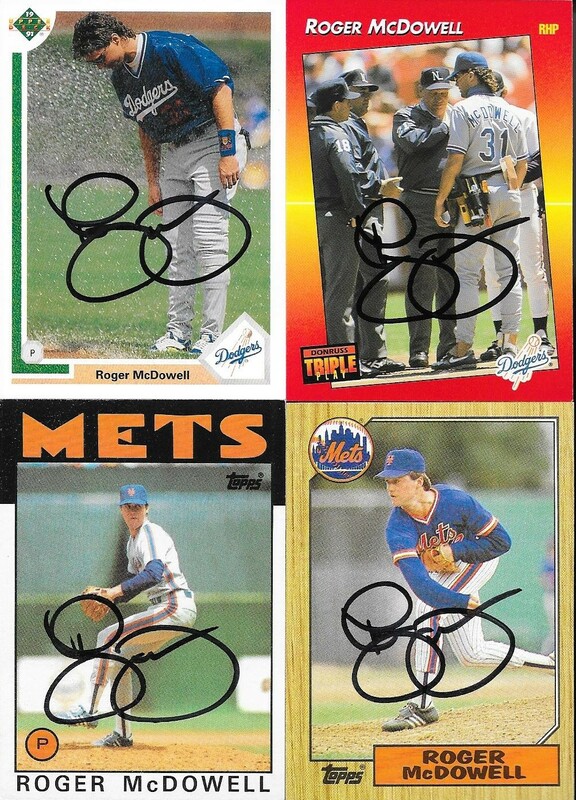 I also got these four cards signed, highlighted by the 1987 Topps on the bottom right. McDowell (b. 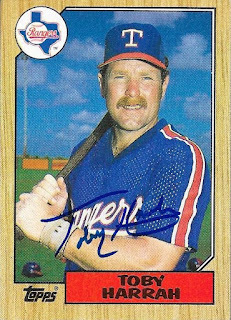 1960) played in the majors from 1985 to 1996 for the Mets, Phillies, Dodgers, Rangers and Orioles. He had a career record of 70-70 with a 3.30 ERA and 524 strike outs. He won the World Series with the Mets in 1986. I mailed to McDowell at Orioles Spring Training on February 20 and got the cards back on December 9, for a 296-day TAT. McDowell will be starting his second season as Orioles pitching coach when the 2018 season starts. Let's hope his pitching staff does a much better job then, because they were terrible in 2017. Here is the last former football player I was waiting on TTM. I got a nice 1950 Bowman signed by former Chicago Bear, Johnny Lujack. This card turned out great, I think. It cost me a decent amount, but I'm glad I took the plunge on these football cards. This 1951 Bowman also turned out really nicely. I like the old Bears logo. Lujack (b. 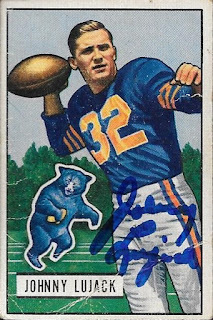 1925) played professionally from 1948 to 1951 for the Bears. A quarterback, he threw for 6,295 yards and 41 touchdowns in his career. 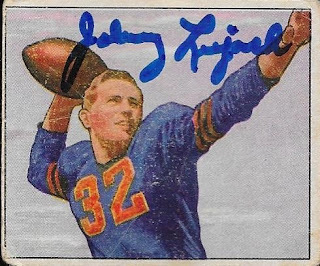 He was the fourth overall pick in the 1946 draft out of Notre Dame. He was the 1947 Heisman Trophy winner, three-time National Champion with Notre Dame (1943, 1946 and 1947) and is a member of the College Football Hall of Fame. 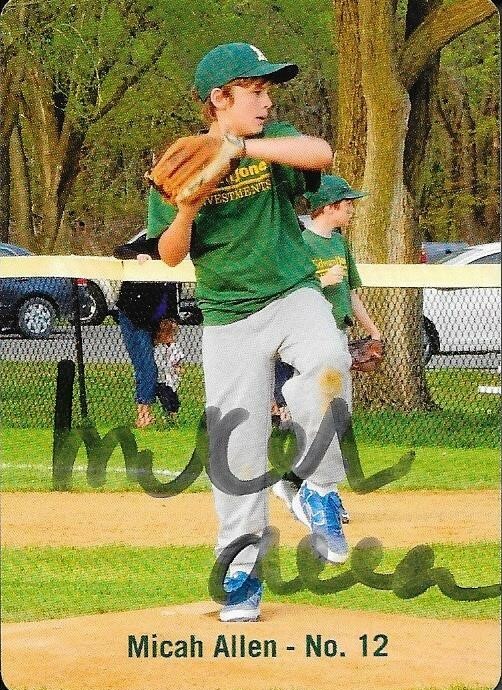 I mailed to Lujack on November 10 and got the cards back on December 9, for a 29-day TAT. 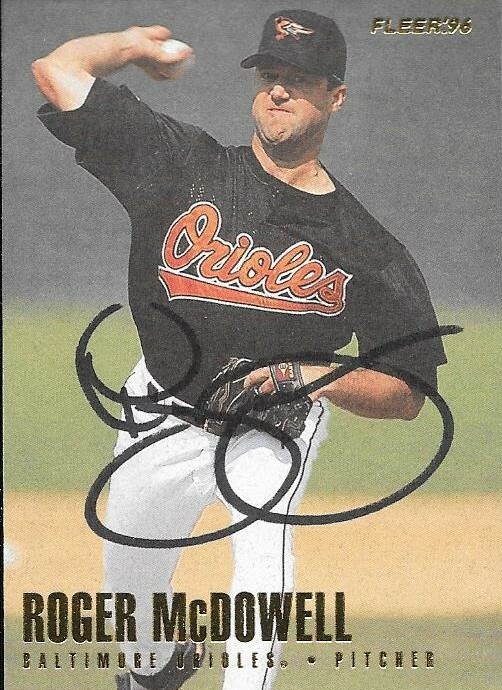 It's always nice getting a TTM success back that has been out for a while, and it is also nice getting one back from a former Oriole. 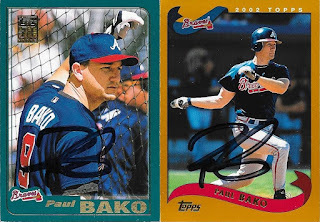 Both of those scenarios occurred when I received this success from Paul Bako. 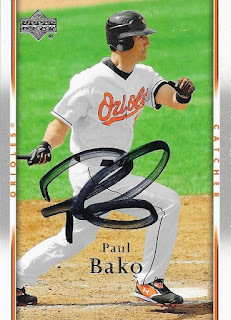 I added some nice Topps cards to my album with this success, starting with the 2007 Topps Update at the top of the page showing Bako in an Orioles uniform. 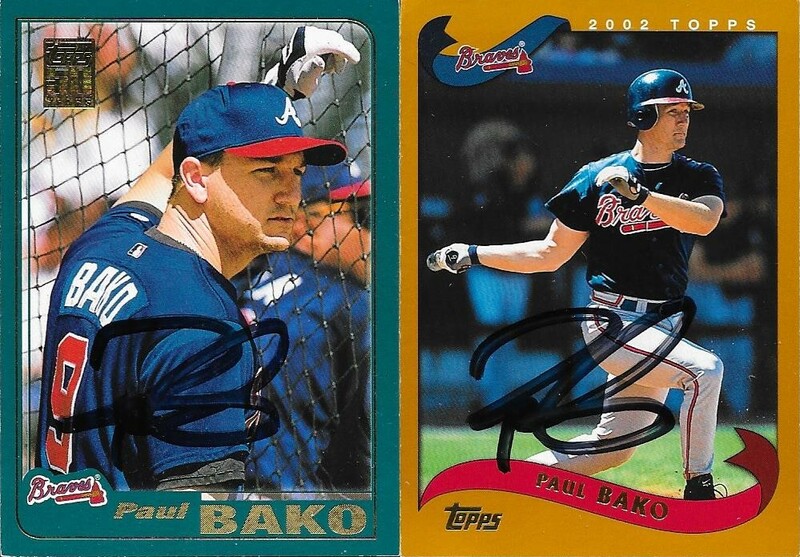 I also added cards from 2001 and 2002 Topps. 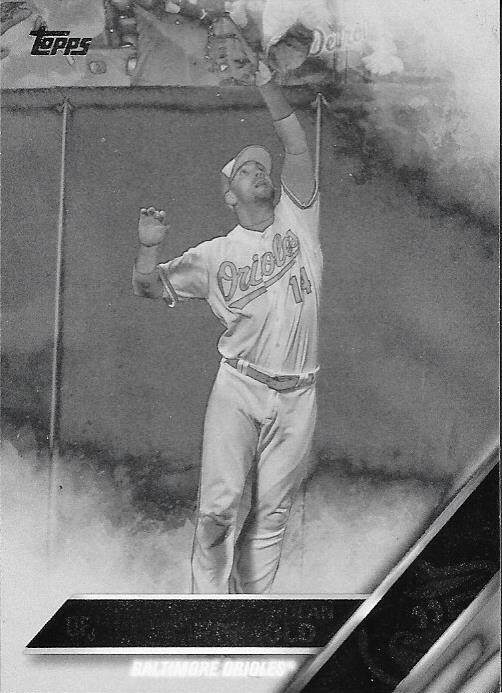 This 2007 Upper Deck was also a nice card to get back. I remember buying a box of this when it came out, as I liked the design. Bako (b. 1972) played in the majors from 1998 to 2009 for the Tigers, Astros, Marlins, Braves, Brewers, Cubs, Dodgers, Royals, Orioles, Reds and Phillies. He had 508 hits, 24 home runs and a .231 batting average. I mailed to Bako on February 2 and got the cards back on December 1, for a 302-day TAT.